Electric Governor: Stable, consistent engine speeds for superior results. 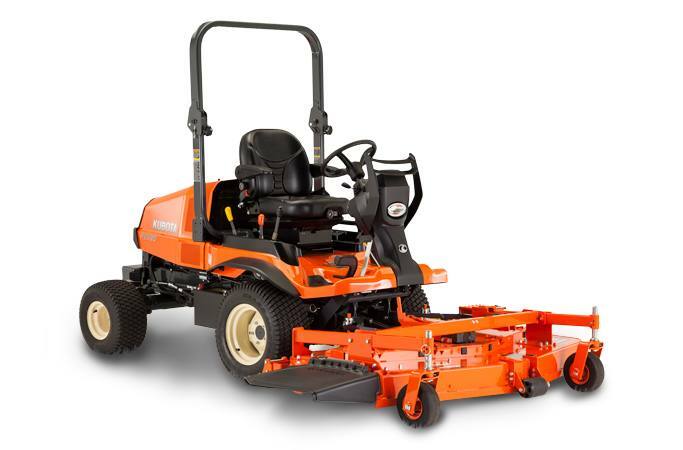 The F3990 diesel engine features an electronic governor that stabilizes the engine speed at 2,500 rpm with the PTO switched on for enhanced cutting and discharge performance, and increases engine speed to 2,700 rpm with the PTO switched off for faster traveling speed. 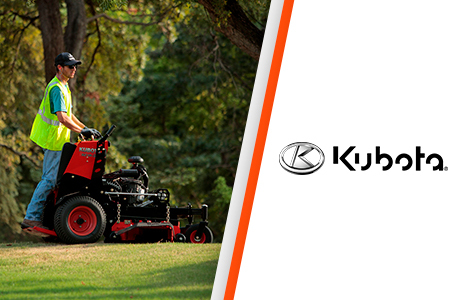 Diesel Engine=Clean Emissions: Powerful Kubota diesel engines mean faster, more efficient job performance. 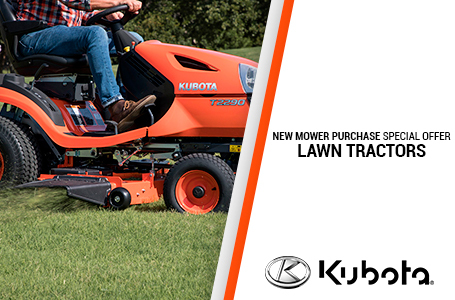 These F Series engines have power to spare; their high torque rise ensures faster, smoother recovery under sudden loading, letting you power through tall or wet grass without skipping a beat. They're also environmentally and economically friendly thanks to their compliance with the EPA's Tier 4 emissions regulations, enhanced combustion efficiency, low vibration and noise levels, and reduced fuel costs. 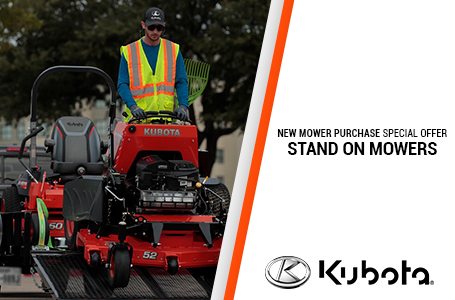 High Lift Capacity: A high lifting capacity gives the F Series the versatility to handle an array of implements, including a grass catcher, snow blower, rotary sweeper, debris blower and the 100” flex mower. 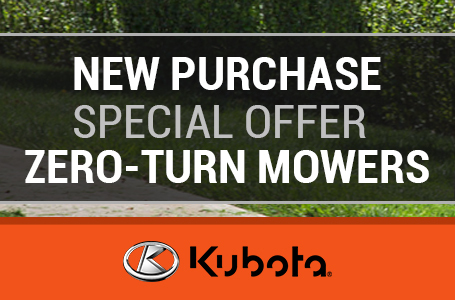 PTO Shaft Drive: Shaft drive means no belts or pulleys – just smooth and direct power transfer from the engine to the deck and other PTO-driven attachments. Shaft drive also requires less maintenance and provides greater dependability. 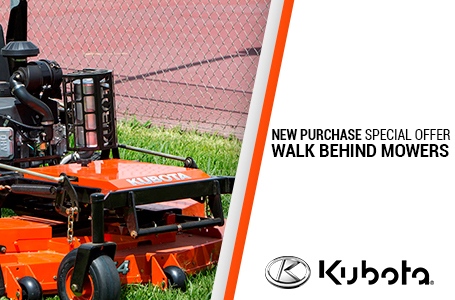 Multi-V-Belt and Steel Pulleys: In addition to providing greater wear resistance, the heavy-duty cast-iron pulleys and a multi-V-belt drive system effectively distribute and reduce tension while transmitting power to the mower blades. 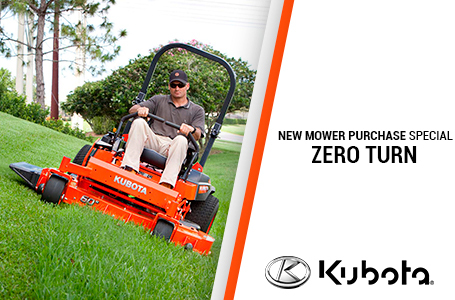 The multi-V-belt won’t twist or slip, thus reducing the chance of damage to the mower. You get more performance and power – and fewer problems. Large Capacity Fuel Tank: A large, 16.1 gallon fuel tank not only keeps you working longer between fuel stops, it also reduces the number of fueling stops needed to complete long jobs. That means more time working and less time fueling up. Hydrostatic Transmission (HST): A single HST pedal lets you easily change the direction as well as control the speed (4WD: 12.5 mph max. forward speed, 6.8 mph in reverse), keeping your hands free for steering and implement control for increased productivity.